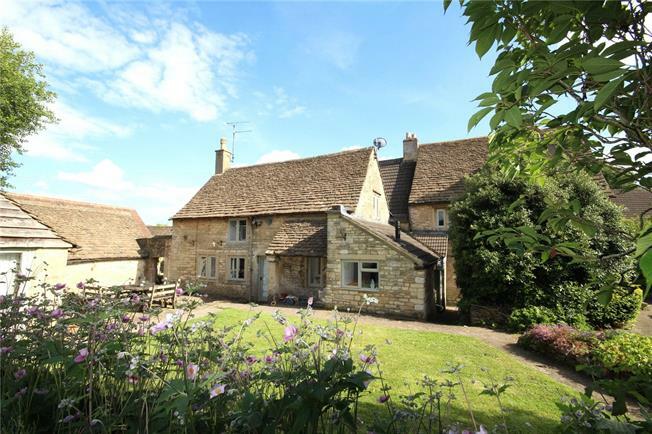 5 Bedroom Detached House For Sale in Chippenham for Guide Price £995,000. This charming Grade II Listed farmhouse is situated in the heart of the quintessential country village of Biddestone. The versatile and spacious accommodation dates back to the early 17th Century and has evolved over the years to create a spacious and versatile family home. Of particular point is the wonderful and recently refurbished open plan kitchen, living and dining room. The kitchen area has been beautifully designed with plenty of smart units; there is a dining area and a sitting area centred around a wood burning stove. Doors out to the courtyard and garden add even further appeal. There are two further reception rooms; one with wonderful ancient beams, a dual aspect and open fire; a delightful room for both entertaining as well as cosy evenings around the fire. The second sitting room is a charming and well proportioned living space with an impressive fireplace and leads directly out to the garden. There are five bedrooms, all full of character, on the first floor. The master suite is superb with two linking rooms providing a pretty bedroom with vaulted ceiling, a sitting area including a luxurious bathing area plus a shower room and walk-in wardrobe. With two staircases plus an attic games room, this is a wonderful choice to suit the growing family. A further feature are two self-contained rooms converted from the granary and dairy of the farmhouse and within the courtyard, providing extra family accommodation or office space for those who work from home.